TSR Photo Manager - Sort through thousands of photos in minutes. Sort trough thousands of photos in minutes instead of days and get order to your photo mess. Move a photo to one or multiple directories or mark it for deletion. Cleanup and fix your photos with the build in support for cropping and applying filters. Personalize your photoalbums each image can be moved to multiple directories, this way you can make one folder for your mother and one for yourself. Easy to use available in 3 different languages. No hassel Easy to use and free trial version available for download. 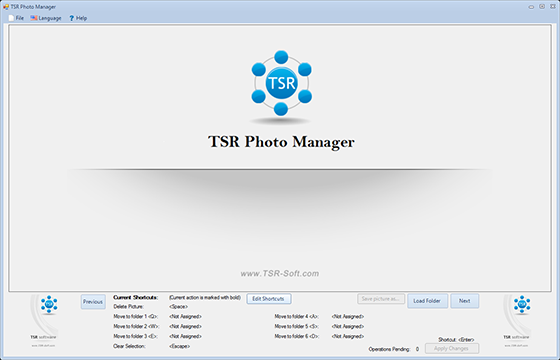 TSR Photo manager is available in the above languages. If you can help translate the software to another language, please contact Philip.